Klook Exclusive: Book your admission ticket for Seoul Sky from Klook and enter the attraction directly! Experience Seoul Sky and enjoy the beautiful night view, located on floors 117-123 of Lotte World Tower, the world's 5th tallest building! 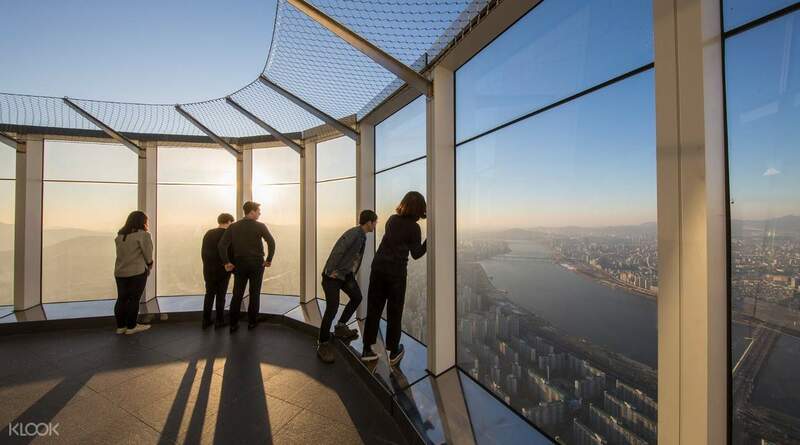 The location setting for various Korean entertainment programs like "Infinite Challenge" and "My Little Old Boy"
Experience the world's most splendid nighttime view in Seoul from the famous Lotte World Tower's Seoul Sky — without the long lines! The Lotte World Tower is the nation's tallest and the world's fifth tallest building. It dwarfs every other building in the South Korean capital. 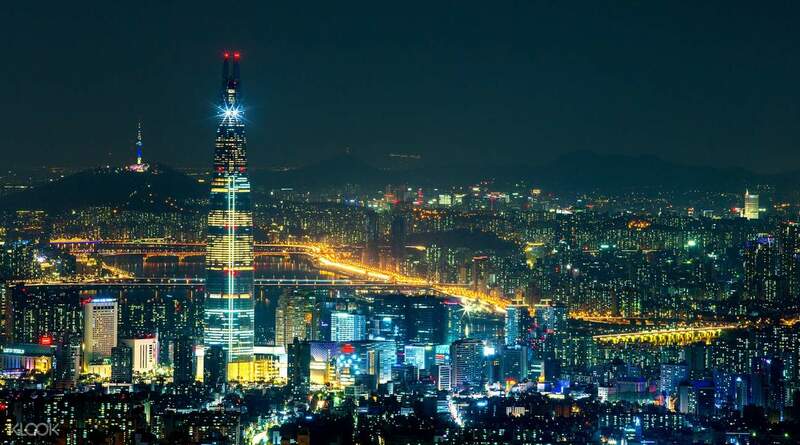 From the Sky Seoul, enjoy the panoramic views of the entire capital city, beautiful both day and night. Don't miss out on taking on one of the fastest elevators in the world in the tower as well! The sky shuttle is particularly known for its speed of 600 meters per minute, and being the elevator that covers the longest distance. While waiting for the elevator, enjoy the art exhibition zone in basement levels 1-2, and learn about the history, culture, and pride of Korea. If you want a unique experience that anyone can only have at a thrilling height of 500 meters in the air, try the Lotte World Tower's Seoul Sky! 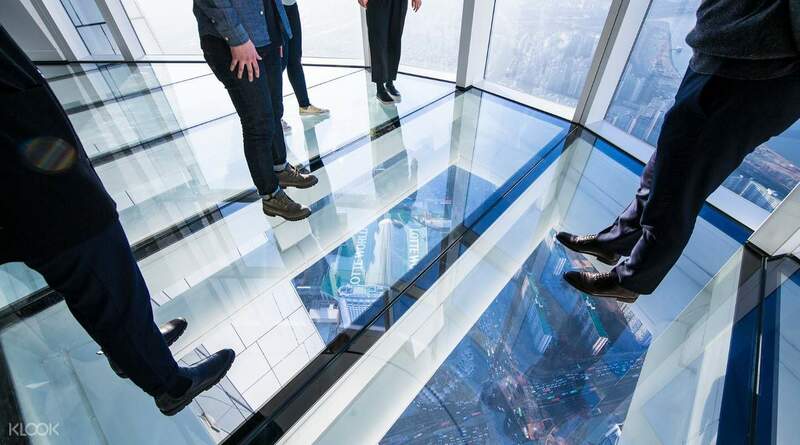 Go up the floors aboard one of the fastest elevators in the world! The place is great! There are a lot of staff that are in their stations and is willing to assist you if you jave questions. Great experience to see the city of Seoul from the top of the tower. The food and drinks are a bit pricy but that is expected. Don’t forget to go to 118th and 120th floor. The place is great! There are a lot of staff that are in their stations and is willing to assist you if you jave questions. Great experience to see the city of Seoul from the top of the tower. The food and drinks are a bit pricy but that is expected. Don’t forget to go to 118th and 120th floor. Lotte World Tower Seoul Sky is very exciting and good activity. I highly recommend this activity because it has a very nice view and weather. Thank you klook for an easy ticket exchange and it is very cheap compare to other agencies!!! looking forward to visit Lotte World Tower Seoul Sky in future! Lotte World Tower Seoul Sky is very exciting and good activity. I highly recommend this activity because it has a very nice view and weather. Thank you klook for an easy ticket exchange and it is very cheap compare to other agencies!!! looking forward to visit Lotte World Tower Seoul Sky in future! Lotte World Tower Seoul Sky is a great building. We were on 116 floor. We saw other skyscrappers, filmed evening traffic. Also there are a lot of brand shops here. Lotte World Tower Seoul Sky is a great building. We were on 116 floor. We saw other skyscrappers, filmed evening traffic. Also there are a lot of brand shops here. Had a great trip as it wasn't crowded when I went there on a Tuesday evening. There wasn't too many people and enjoyed my time snapping photos on the glass floors. Had a great trip as it wasn't crowded when I went there on a Tuesday evening. There wasn't too many people and enjoyed my time snapping photos on the glass floors. It was a breathtaking experience. We had a nice view of Seoul from 123rd floor. Their elevator was really fast!!! It was a breathtaking experience. We had a nice view of Seoul from 123rd floor. Their elevator was really fast!!! 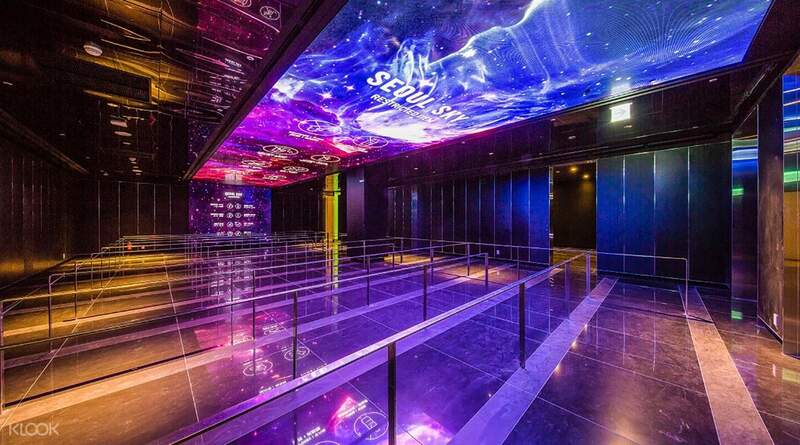 Seoul sky tower.. a place that u should go if u get to lotte world and u can take a selfie at their glass floor with high speed elavator.. Seoul sky tower.. a place that u should go if u get to lotte world and u can take a selfie at their glass floor with high speed elavator.. The tower is so tall and the view was impressive up there. Even though it was a bit pricey but a good experience. The coupon was easy to redeem at the ticket office. We had no problem. I recommend to go early as it was full of people around 1 pm. The tower is so tall and the view was impressive up there. Even though it was a bit pricey but a good experience. The coupon was easy to redeem at the ticket office. We had no problem. I recommend to go early as it was full of people around 1 pm.